It’s been so long since I’ve last updated. 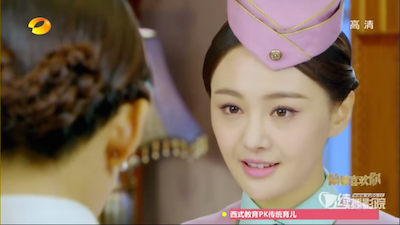 I’ve been so busy that I’ve missed reviewing this drama that I actually wanted to watch – Diamond Lover with Tiffany Tang, but now that I realized it’s out already and that it’s already been a good 28 episodes in, I feel like it’ll probably be really hard to catch up, and really hard to recap at the same time because of the length and amount of episodes that are already out. 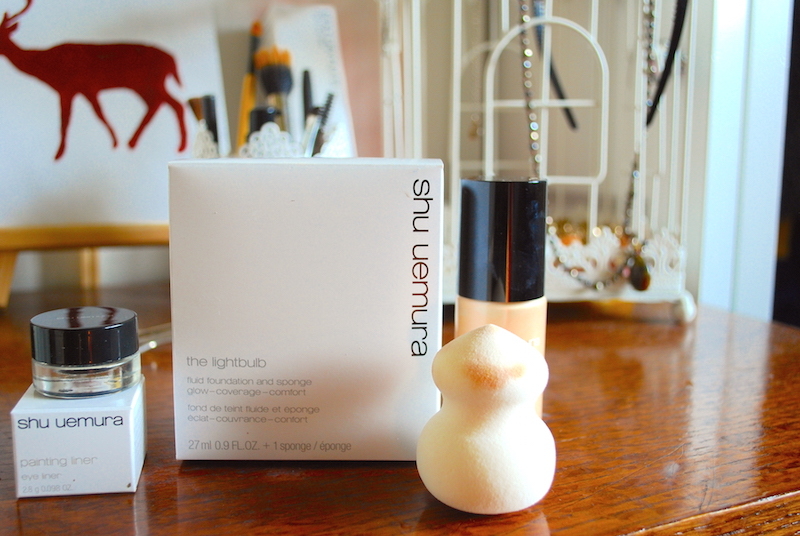 I’m just waiting for the next big one right now to review, so meanwhile, here’s an interim post. 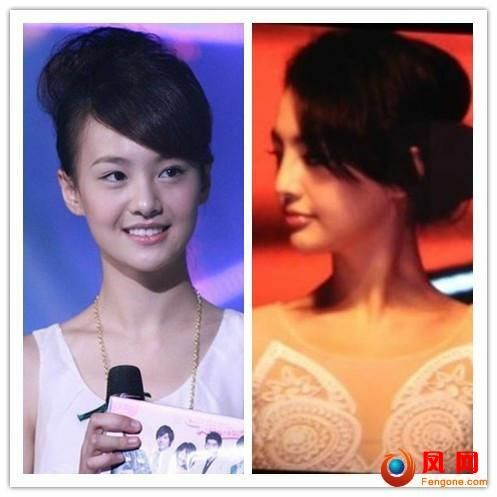 Since the post about Hawick’s plastic surgery has been so popular, here’s one about Zheng Shuang. I’ve recapped three dramas with her in it so far so I guess I’m pretty familiar with her. She’s openly admitted to having plastic surgery (or cosmetic surgery, since she’s technically only admitted to having injections and small procedures), which I really commend her for, especially when there’s such a big stigma about about cosmetic surgery still in China. I really don’t blame her for wanting to try it out – I mean, her entire career is based on her looks, but I feel like that her cosmetic surgeries are kind of unfortunate because she was so adorable and cute before the surgeries. 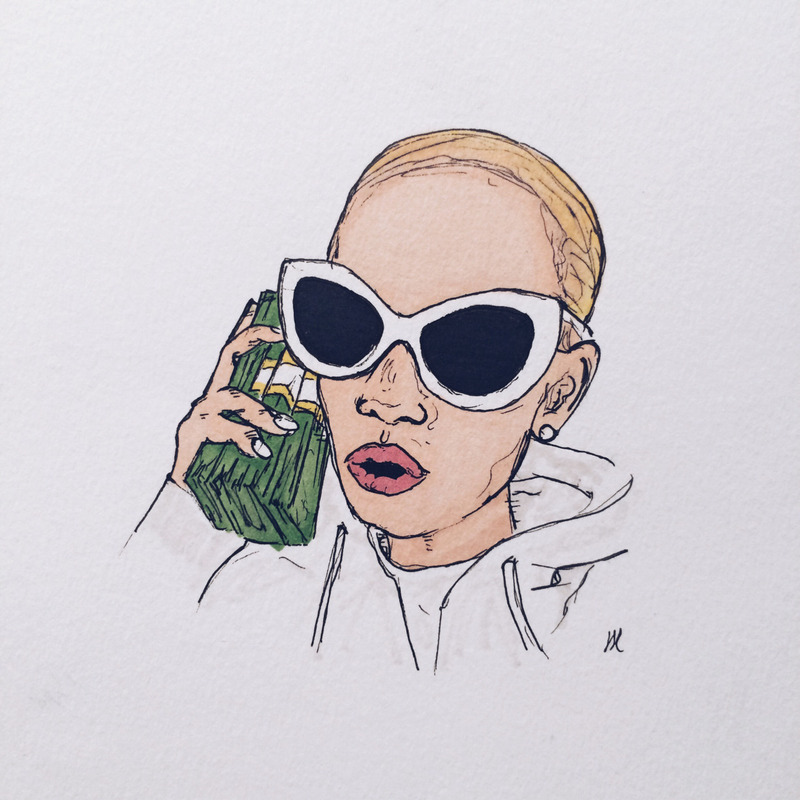 She was different, and fresh. 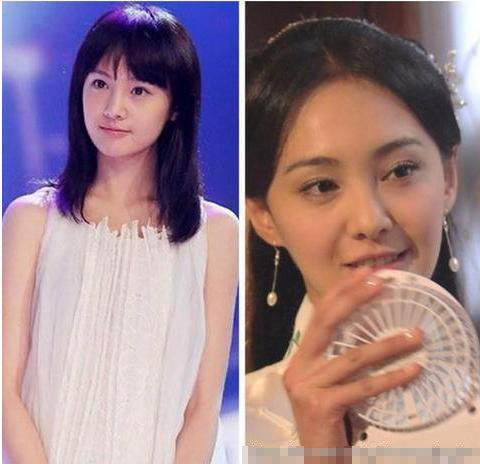 She reminds me of having that same spark as Ariel Lin, where her small imperfections made her, well, even cuter, and more likeable, like a girl next door. Now… She looks very typical. I mean, yeah, I guess she’s more traditionally beautiful with her stronger double eyelids and even sharper chin, but I think her previous look was better. She looks a lot more ‘glam’ and mature now though, so maybe this was a good career move to get her better roles. Before/After: To me, she didn’t really get dramatic work done – only the eyes, and the chin. I think her chin was sharp enough when she was young – she definitely didn’t need those injections. 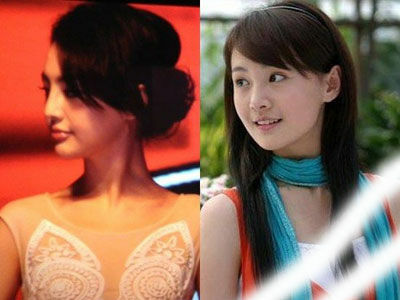 A lot of people compared Zheng Shuang’s injections to Angelababy. I think this event where she’s wearing the lace gown is when she got her injections done fresh, because I think the swelling is quite obvious, but it’s not as dramatic in dramas. It’s not a huge difference, but a noticeable difference. I think she’s still very pretty nowadays but I think that she was actually more stunning when she didn’t have the conventional form of beauty of sharp face and strong double eyelids. That being said, she really can’t act very well, even though she’s so pretty, I probably won’t ever pick up a drama where she’s the female lead. She look a bit like Rainy Yang before. I saw her in the cage of love. I hate that drama. Can’t believe that Tong Hua’s drama?? The author of BBJX and SoD? Her character is so frustrating. I agree that I like her old face more though her face doesnt bother me now, i think it still in moderate amount so I didn’t really know if i didn’t read this article. I actually think that Tifanny Tang face proportion a bit awkward esp her chin. i find it too sharp? I always suspect it to be ps. Do u know if it’s ps or natural? 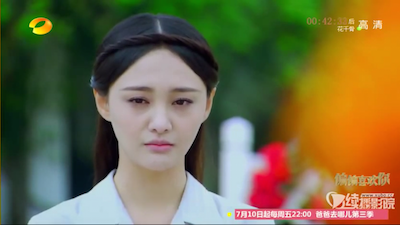 Ofc not as bad as that villain in “cage of love”, forget her name but she’s also in bbjx as 10th prince’s wife. Hi Deer, you haven’t updated in a long while. 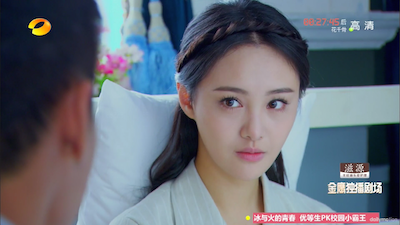 Just thought you might wanna know that “cloud in the song” is out, and I’m really liking it so far (though I do have a problem with angelababy’s mouth), there is 2 loveable male leads and they both have a chance to be with the female lead and she equally loves them both (unlike other dramas) well worth watching! Oh my gosh Kiyu!!! I’m catching up all on it right now, because now I finally have wifi. 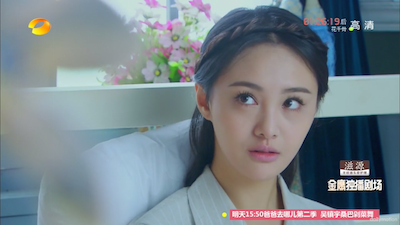 Angelababy is so damn pretty… I think I will definitely review this drama. What do you think of it so far? I agree her before look was stunning and adorable. There was something so charming about her natural look before. Im disappointed but she’s still very pretty and I look forward to her dramas. so she is your 2016 Goddess of Asia? Hahaha This is Mr Africa. Just seen her in Mural and thought I would findout abit more about her. Quite disappointed that shes done a face job becouse she is or was really pretty. I completely agree with the authers obvservations about change in her unique looks. You are right,shes now like everyother beautifull woman! I must say it was hard to find your blog in google. You write interesting articles but you should rank your page higher in search engines. 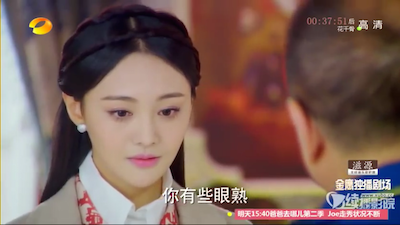 Zheng Shuang is my ideal girl and my dream princess. I love her ‘before surgery’ look more than after.